FINALLY. Now if we can get them to bring back into service Lift 5, life would be great at Loveland! 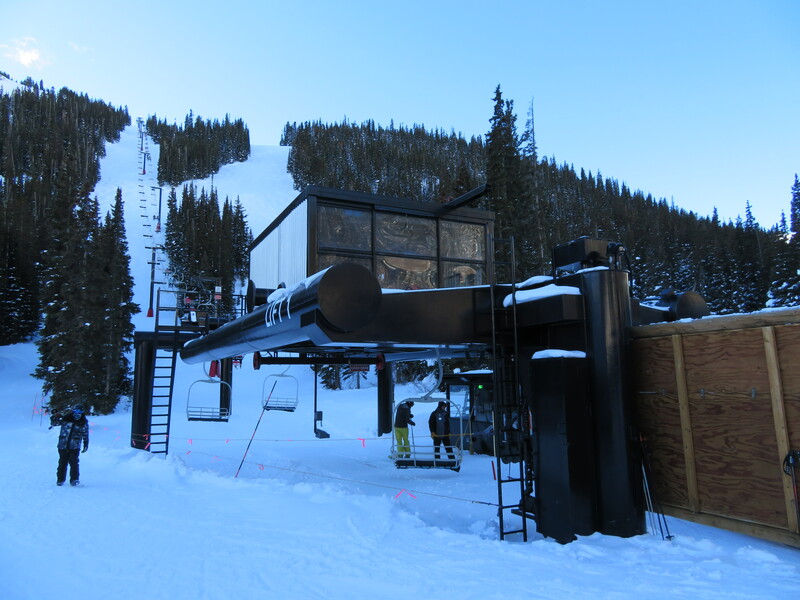 Loveland will not start up Lift 5 again, but they will keep it standing so in the future when they replace the lift, they can have the footprint. If they do not keep the footprint, the forest service will not let them build a new lift. Bummer. I really liked riding Lift-5 back in the late 90s when I skied loveland. Something cool about going over the road up loveland pass and along the river. Bridger Bowl lists 2000 acres, or are you excluding them since it’s not really a resort? Nope, spaced it. Updated above. Do you think 49 degrees north will ever get a detachable? I kinda doubt they have the cash or need, but it would be a hugely beneficial project for them. 49 Degrees North must be feeling some pressure from the competition. 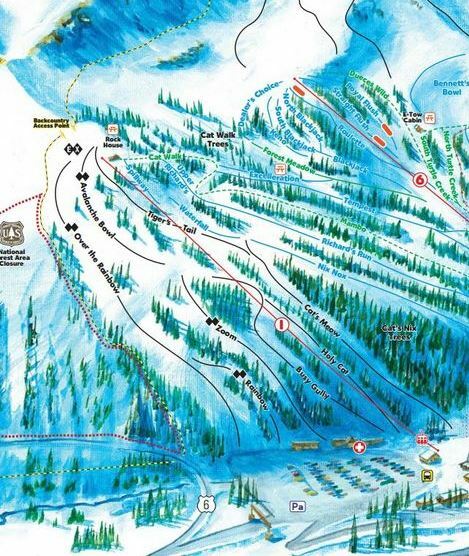 Schweitzer wants to replace Snow Ghost with a detachable soon, Silver Mountain may do Chair 4 and Lookout Pass/Mt. Spokane both open large expansions with new lifts next year. There’s no question a detachable quad is the right lift for 49 North; it all depends on what their finances are like. You are missing Discovery MT 2200 acres too. I’m I the only one that thinks this lift at Loveland is a bad idea. The lift isn’t that long. All the lift will do is make Loveland more expense. I feel the same way about A basin’s exhibition upgrade. I like HS lifts, but they have to make sense and focusing on long and/or flat lifts is what makes sense. I suspect that A-Basin considered many options in selecting an HSQ for Exhibition. Exhibition serves the main advancement terrain after Molly Hogan, and HSQs are much easier for newer skiers to load/unload than fixed grip lifts, unless the rope speed is pretty slow. A-Basin clearly believes in fixed grip — the new Beavers lift is expected to be a FGT I believe. I was hoping to see a detachable high speed lift instead of splitting lift 2 the way they did but this will be positive also. It would be nice if they could relocate the current Yan triple to create lift 10 on the master plan but maybe the machinery is too obsolete to be re-engineered. I would think a 1980’s Yan would be appropriate for a relocation. There have been many older lifts relocated. I agree. At @2600 ft a detach really isn’t needed, and the grips and line equipment are some of the best Yan made. It would be better to make Chair #2 a detach as it has a unique Yan grip and the aluminum sheave trains that present maintenance challenges. Relocating Chair #1 could present some engineering challenges due to the half towers available mid-line. I was at Loveland this summer and they were debating whether to replace the lift with a triple chair or a high-speed quad. It will be interesting to see the upper terminal on that detachable chair, there is not a whole lot of room at the top of 1. I wonder if the replacement has anything to do with the mechanical issues they ran into earlier this year with Lift 2 as well as the other lift that got shut down for awhile. As I recall the issue with both lifts was the return bullwheel bearings. They are normal wear items that usually last 15-20 years with proper maintenance. While the timing of the issues wasn’t the best, I don’t think that would be a reason to replace either of the lifts. i was up at Loveland last summer. I was talking to the director of lifts their and she said that they would replace 1 with a triple or a HSQ. The lift maintenance team was also talking about how old the motor is. I went up into the motor room, They tried to start it up, but the motor made a loud squealing noise for 20 seconds. The lift did not move. They said the reason they would replace the lift was because of old age, and the amount of maintenance it takes. Any idea if they’ll be selling the old chairs? If so, where would I find out information? Is there a website I should check periodically or a mailing list or something? check their facebook page. Not sure if they are selling them? Maybe they already have? The last time they sold chairs from the shortening of lift 2 they sold the chairs, pass holders first, and they were sold out in a matter of hours. They are going to auction off the chairs to the guests. I called and that is what they said. I think that they should upgrade Lift 2 to a high speed quad and relocate Ptarmigan to Lift 6, which is in need of a replacement. I think that Loveland did not make a good decision when they replaced 4 because it is so long and they need a HSQ there. Hearing this lift will have 9 second chair spacing and 1,800 per hour capacity. More interesting, the top terminal may be supported by only one mast going back to the Leitner roots. In that case I wonder if the top terminal will have a full terminal enclosure, or some kind of “pancake” style enclosure yet to be seen on an LPA system. An LPAcake would be awesome. Why would they, though? The terminal is larger than the leitner terminals that were built on one mast, so the terminal will be either short, imported from Europe (Leitner uses tunnel-style terminals on some lifts), or custom-manufactured. Apparently the photo with one mast was a product of someone’s marketing department. Current installation photos show 2 masts at the top.